WOW! We found 153 results matching your criteria. 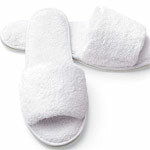 Boca Terry - Luxurious Robes, Slippers, Towels and Spa Accessories at Competitive Prices! Boca Terry was established in 1996 by Bruce and Edward Cohen. 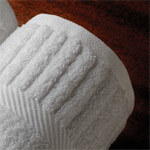 With 50 years of combined manufacturing knowledge, they decided to open up Boca Terry by offering the Hospitality and Products Promotional Industry luxurious robes, slippers, towels and spa accessories at competitive prices. 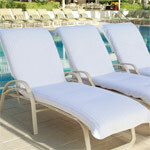 They are approved by Buy Efficient, PPAI, UPIC, ASI, Wynsource and Starwood to name a few. Boca Terry can be found at some of the best properties world wide... you can find them at Ritz Carlton's, Raffles, Four Seasons, Golden Door Spas, and 5 star Hotels across Europe and the Far East. Come and explore Boca Terry!